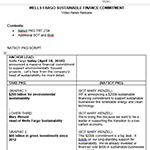 SAN FRANCISCO--(BUSINESS WIRE)--Wells Fargo & Company (NYSE:WFC) today announced it will provide $200 billion in financing to sustainable businesses and projects by 2030, with more than 50 percent focused on clean technology and renewable energy transactions that directly support the transition to a low-carbon economy. The company also detailed its commitment to transparency in its methodology for accounting, project inclusion, and the carbon intensity of its credit portfolio, and will regularly report on the social, environmental, and economic impacts of the lending. 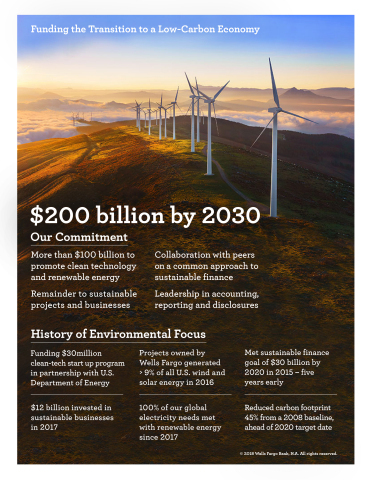 More than $100 billion in financing offered by Wells Fargo will support the transition to a low-carbon economy by funding clean technologies, clean energy (renewables), green bonds, and alternative transportation. 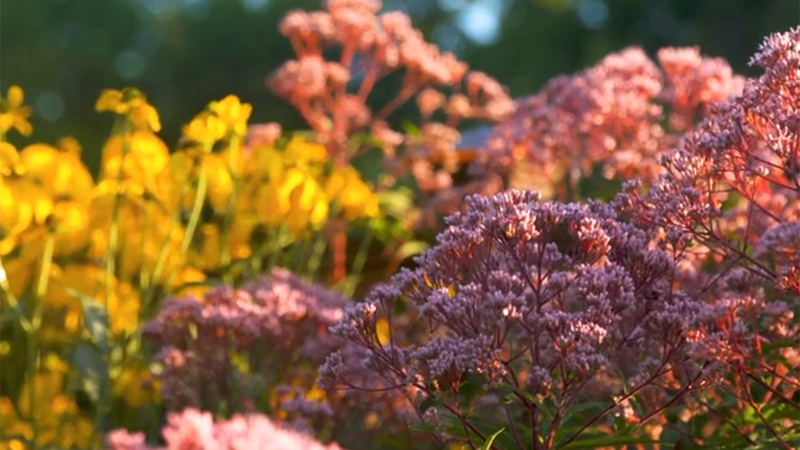 The remainder of the $200 billion will support companies and projects focused on sustainable agriculture, recycling, conservation, and other environmentally beneficial activities. 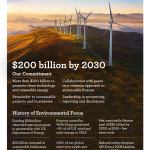 In addition to the financial pledge, Wells Fargo has committed to sector-leading transparency around its sustainable financing accounting and inclusion practices, annual impact reporting, and reporting on contributions toward the United Nations Sustainable Development Goals and progress in implementing the recommendations of the Task Force on Climate-related Financial Disclosure. Additionally, the company will engage with sector peers and other organizations interested in advancing a common approach to responsible, sustainable finance. Wells Fargo further pledged that it would revisit the commitment periodically to make any adjustments necessary based on progress made and/or developments in best practices for transparency and disclosure. The commitment builds on Wells Fargo’s leadership in clean technology and renewable energy financing. The company’s 2012 sustainable finance goal of $30 billion by 2020 was met five years early (in 2015). In 2016, projects owned in whole or in part by Wells Fargo produced more than 9 percent of all wind and solar photovoltaic energy generated in the U.S., and in 2017, the company invested $12 billion in sustainable businesses. In 2017, the company began meeting 100 percent of its global electricity needs with renewable energy and met its 2020 carbon-reduction goal of 45 percent from a 2008 baseline. It also logged progress against other sustainability goals focused on water and energy efficiency, waste reduction, and LEED certification. Wells Fargo’s award-winning Innovation Incubator is a $30 million philanthropic program with the U.S. Department of Energy’s National Renewable Energy Laboratory that speeds the path to market for promising clean technologies and entrepreneurs focused on energy efficiency and sustainability. A signature piece of the program is the opportunity for certain technologies to beta test within the Wells Fargo footprint on their way to the commercial marketplace. Wells Fargo & Company (NYSE: WFC) is a diversified, community-based financial services company with $1.9 trillion in assets. Wells Fargo’s vision is to satisfy our customers’ financial needs and help them succeed financially. Founded in 1852 and headquartered in San Francisco, Wells Fargo provides banking, insurance, investments, mortgage, and consumer and commercial finance through more than 8,300 locations, 13,000 ATMs, the internet (wellsfargo.com) and mobile banking, and has offices in 42 countries and territories to support customers who conduct business in the global economy. With approximately 265,000 team members, Wells Fargo serves one in three households in the United States. Wells Fargo & Company was ranked No. 25 on Fortune’s 2017 rankings of America’s largest corporations. In 2017, Wells Fargo donated $286.5 million to 14,500 nonprofits and Wells Fargo team members volunteered a record 2 million hours. Wells Fargo’s corporate social responsibility efforts are focused on three strategic priorities: diversity and social inclusion, economic empowerment, and environmental sustainability. 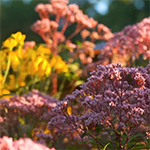 News, insights and perspectives from Wells Fargo are also available at Wells Fargo Stories.